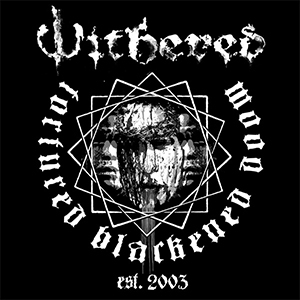 “Tortured blackened doom/death metal” is how Atlanta’s Withered describes itself, and that’s accurate. The band has knocked out three albums of this slice of music since 2003: Memento Mori, Folie Circulaire, and Dualitas. A lot has happened with Withered over the years besides these releases. 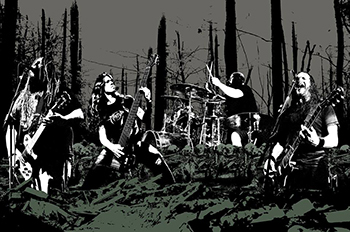 Guitarist and OG member Mike Thompson explained via email that the four-piece band has two new members and spent six months writing and two-and-a-half years recording their latest album to be released in 2016 on Season of Mist. “It’s definitely our best yet and much more death metal than before, with a lot of subtle proginess,” Thompson said. But more recently, things haven’t been rosy in the Old Fourth Ward of Atlanta, an area where Withered labored over its music. The same folks that owned Thunderbox also announced the closure of Avatar, “pretty much the only other notable rehearsal space in the city,” Thompson said. Avatar wrote “Thank you and goodnight” on its Facebook page in September. That hasn’t stopped Withered from turning in another quality album, worthy of placement in its catalog. This entry was posted in Interviews and tagged Atlanta, black metal, doom, Season of Mist, withered by Editor. Bookmark the permalink.